HARRISBURG, PA., USA - March 29, 2016 - TE Connectivity (TE), a world leader in connectivity and sensors, demonstrated a range of building automation solutions at the 2016 Light + Building Expo in Frankfurt, Germany, which took place from March 13 to 18. The spotlight was on three products in particular: the Z-Rail junction box from its Full Solar (PV) product portfolio; the NECTOR M Power System; and the Circular Poke-in Connector. The NECTOR M power system is a flexible, fully pluggable, integrated solution that improves installation efficiency by being equally suitable for providing connections in power, data and control wiring systems. 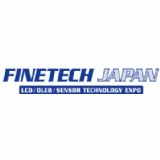 It comprises a complete multi-functional range of modular wiring connectors and cable assemblies. Socket and pin connectors are available in 3, 5, 6 and 7-pole free hanging and panel mount types, in standard and sealed versions, for indoors and outdoors. The line-up also includes PCB mounted socket and pin headers. The NECTOR M power system reduces installation times and on-site labor costs, since they can be constructed and tested off site. The SOLARLOK Z-Rail enhanced junction box is manufactured with durable materials that reduce the stress on individual components, increase reliability in outdoor settings and enable the unit to be used in applications with temperatures ranging from minus 40 up to 115 degrees Celsius. Foils of crystalline PV panels are terminated with welded, soldered or clamped connections. Welded cables and diodes provide excellent thermal management, with a cell surface temperature of just 55.5 degrees Celsius. Cover and base housing are molded in a modified PPE engineering thermoplastic that provides resistance to chemicals found in various target application areas. The contact rail is made from a tin plated copper alloy that offers low electrical resistance (0.55 mOhm). The junction box supports voltage ratings of 1000 V and 1500 V (according to EN50548 and UL3730). 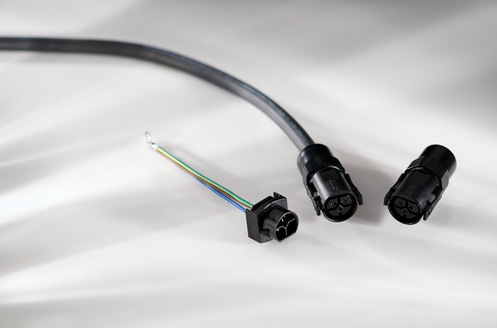 The Circular Poke-in Connector is a mated pair of circular connector halves, in which one half uses a poke-in wire termination method for fast, low-cost, tool-free installation. A squeeze-to-release latching system and push-to-release wire retention feature make it easy to respectively un-mate and re-work connections. The thermoplastic housing incorporates a thermoplastic elastomer (TPE) seal. Target applications include HVAC, lighting, and pumps. For more information on TE building automation and lighting solutions, visit TE.com. NECTOR, SOLARLOK, TE Connectivity and the TE connectivity (logo) are trademarks of the TE Connectivity Ltd. family of companies.